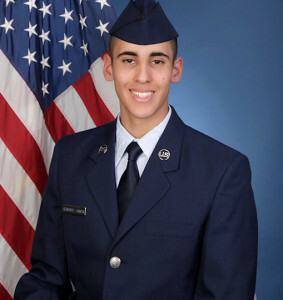 U.S. Air Force Airman 1st Class Adriel B. Hernandez-Garcia graduated from basic military training at Joint Base San Antonio-Lackland, San Antonio, Texas. Hernandez-Garcia is the son of Jennifer V. Garcia and Israel Hernandez and grandson of Ricardo B. and Neomi Garcia, all of Lancaster, Calif. 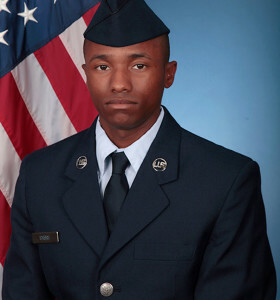 He is a 2017 graduate of Lancaster High School, Lancaster, Calif.
U.S. Air Force Airman Marquis T. Syers graduated from basic military training at Joint Base San Antonio-Lackland, San Antonio, Texas. 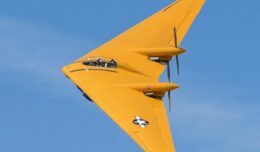 Syers is the son of Sonya R. Syers-Federon and grandson of Sarah N. and Fredrick C. Syers of Lancaster, Calif. He is a 2013 graduate of Quartz Hill High School, Lancaster, Calif.
U.S. Air Force Airman 1st Class Matthew Dinh graduated from basic military training at Joint Base San Antonio-Lackland, San Antonio, Texas. Dinh is the son of Dennis and Kristine Dinh of Lancaster, Calif. He is a 2014 graduate of Quartz Hill High School, Lancaster, Calif.